You are here: Home / Free Crochet Patterns / Free Pattern Friday / 20 Free Patterns for Toys! Welcome to Free Crochet Pattern Friday! 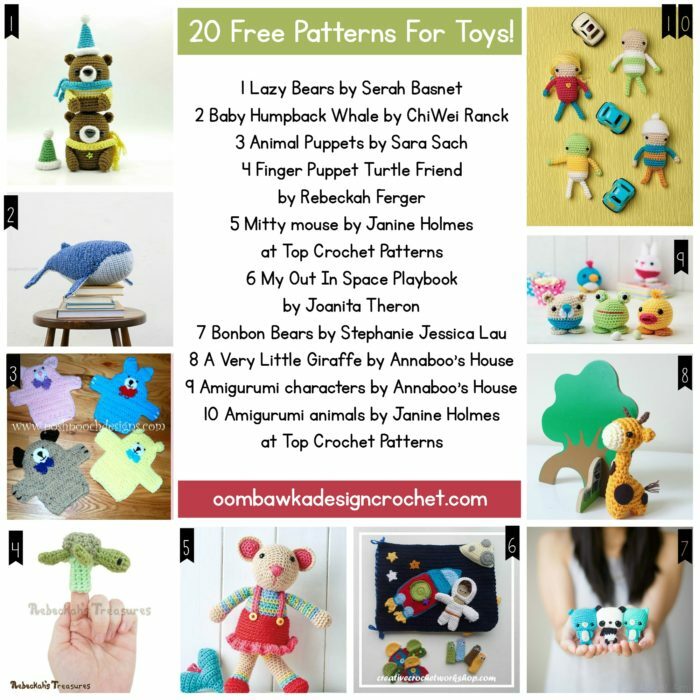 This week I have 20 free patterns for toys to share with you 🙂 Grab your hooks and let’s crochet something fun this week! Thanks for featuring my Turtle Friend Rhondda! thank you for the collection of free Amigurumi. Just the the playbook of Joanita Theron is not free, you can buy it only on Ravelry.